Picture this: You’re sitting at a cafe with a friend. This friend is very passionate about their new business idea and they want your honest opinion about it. You listen with keen interest, mentally making notes of all the loopholes you want to prevent your friend form making. After they are finished talking, you’re ready to jump in and emerge as a helpful and smart buddy. You’ve lost them the moment they hear you say, wait for it… “but”. Every form of conversation is a type of selling. In this case, you’re selling your opinions to your friend, and it’s up to them whether they accept or reject them. The problem? Selling is about them not us. Get that itched in your head. You’re selling at every point of your day. From selling an idea to yourself — example: should I cook pasta or mashed potatoes tonight — to selling to others in our lives — example: Kids, it’s sleep time now! But when you do it backwards — focusing too much on you than the other person — you start using the negator “But”. The moment you hear “but” in a sentence, your mind will automatically negate what goes before “but” and only focus on what comes after (which is not going to be what you want to hear most of the times). So in this case, your friend will only remember the problem with the idea, and conveniently forget the fact that you said you loved it. 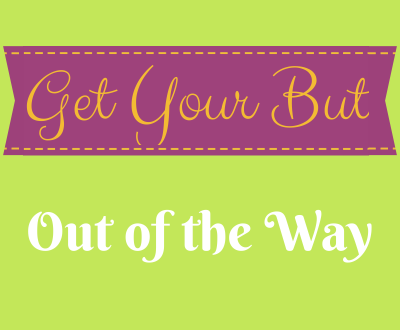 Be mindful of your buts is so important in everyday language. In today’s podcast, I tell you one simple tweak that will make your conversations more enjoyable and your negotiations more effective and juicy.